I'm used to getting OK Cupid messages commenting on my body, and telling me all the things they want to do to me. I don't love it, but I am resigned. This is a new one on me though. 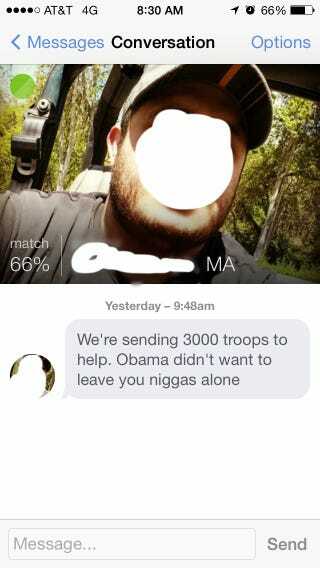 For the record, I am white, and don't mention Obama anywhere on my profile.